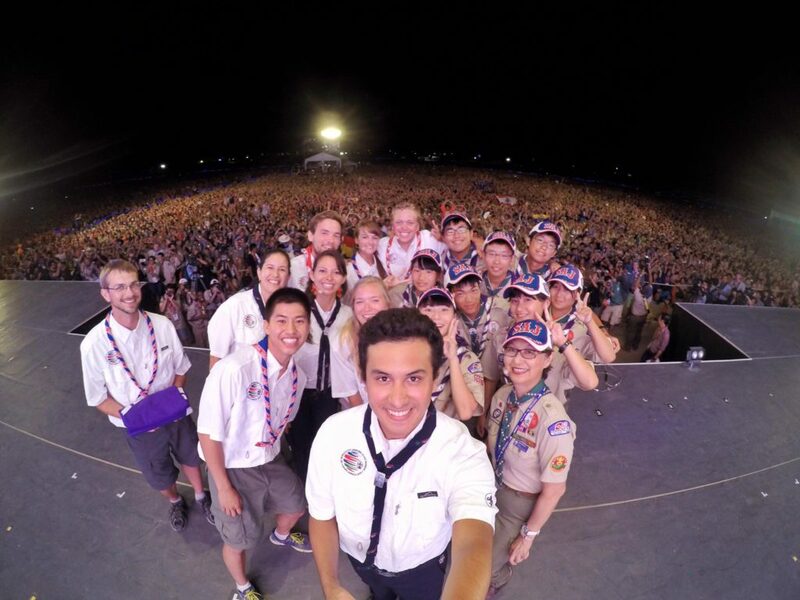 The World Scout Jamboree is an internal scouting event that’s hosted every four years. 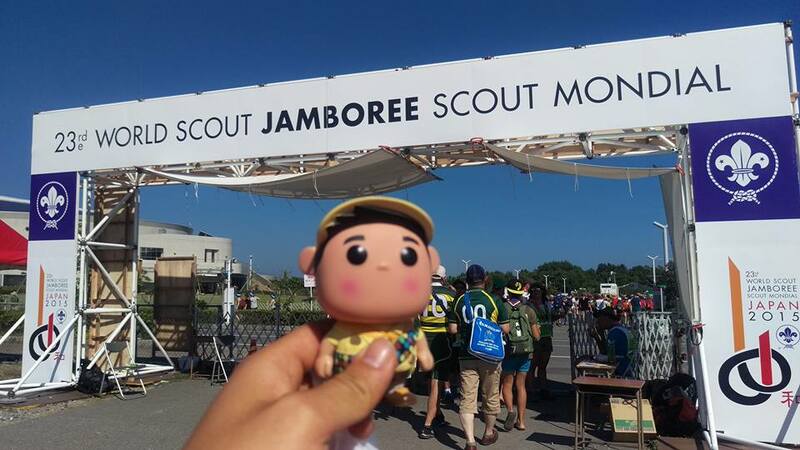 As a member of the 2019 Jamboree’s Promotional Team, Willy Xiao attended the 2015 Jamboree in Kirara-Hama, Japan both to observe the event and to spread excitement about the 2019 Jamboree, which will he held at the Summit Bechtel Reserve in West Virginia, USA. It was hot. Those who decided to take cold showers in the middle of the day did so only as a temporary escape. Scouts and adult leaders were lucky if they could slip back into their t-shirts and turbans and multi-colored scout uniforms from around the world before the sweat began collecting again. The trading post was one of the only places at the campsite with air conditioning, If you could withstand the wait to get in. Under the eyes of the watchful staff, shop-goers took various measures to extend their time in the cool haven. Like sommeliers considering a fine wine, they slowly, deliberately went down the line of shampoos, picking up each bottle, feigning a reading of the label written completely in Japanese, and wafting its content with eyes closed in arctic paradise. Others went straight to the ice cream section thrusting their arms deep into the bottoms of the freezers. Each country responded to the heat in its own way. As far as I knew, the Canadians were least prepared. 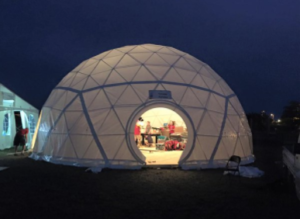 In the World Scout Center, they had somehow decided to pitch a giant tarp in the shape of an igloo, which if I am to understand correctly is designed to trap as much heat as possible within it. The Mexicans actually didn’t quite mind as much. They were still happily running around throughout the day, and right when it got to a slightly cooler nighttime temperature, they became the ringleaders of latin dance parties. Situated in the middle of a ring of food tents from various countries, it attracted dancers and feasters alike. I heard a rumor that halfway through the event, the Danes totally unaccustomed to heat of any kind started emerging only at nightfall. If you were lucky, you could spy some of them at the nightly trading markets in which badges and pins became basic currencies. Here, when people realized that the Swedes collectively decided to price-fix their backpacks for trade, complex deals were negotiated between 3, 4, even 5 parties at once in massive conglomerates. The Fins announced that they were required to wear their blue bucket hats until the last day of the jamboree, and very soon thereafter an equally complicated futures market emerged. I liked to imagine the middle-aged Hong Kong scout leaders as professional stock-traders, bringing their knowledge of market-making into the Jamboree and facilitating its efficiency with their invisible hands. The Boy Scouts of America, with its Scouts so latitudinally diverse had Texans rodeo-ing their friends to the offsites, San Franciscans devising algorithms to skip the lines to the shaded (and cool) City of Science, and New Yorkers bustling to the coffee shops at the international food tents. Coming from Atlanta, I felt like this wasn’t too different in temperature from a summer at Woodruff. Which as Atlanta Area Council scouts may know, isn’t saying too much for how cool I felt. But at least I didn’t have any classes to attend. Yet amidst all the heat — the energy on the site could not have been contained. Scouts waddled to the water activities in all kinds of swimwear. They learned about Japanese history and culture both at the Crossroads of Culture program and in offsites to Hiroshima, the site of the first atomic bomb dropping. 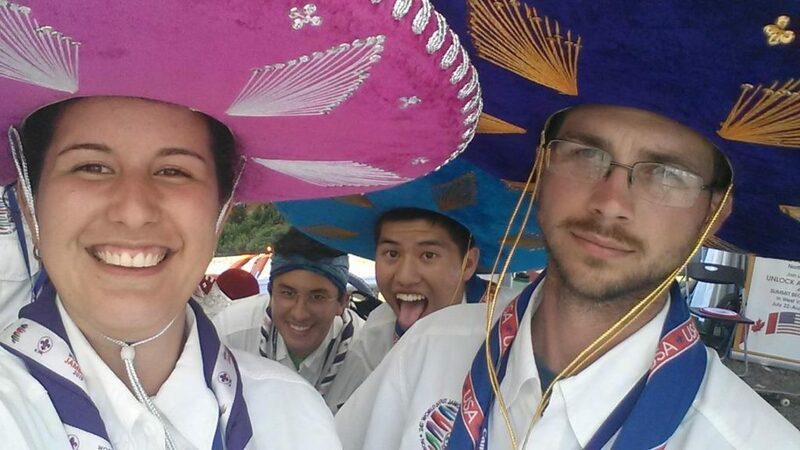 Over 70,000 day visitors bussed into the site just to get a glimpse at Scouts from all over the world. When the Emperor of Japan’s son arrived, we stood in rigid silence as he shook the hands of the World Organization of the Scouting Movement’s General Secretary. And we welcomed the Prince of Saudi Arabia into our promotional tent with a purple neckerchief. And on the day of the food festival, we zig-zagged through the sub camps and filled our bellies with cool Jasmine tea and Greek meat pies. 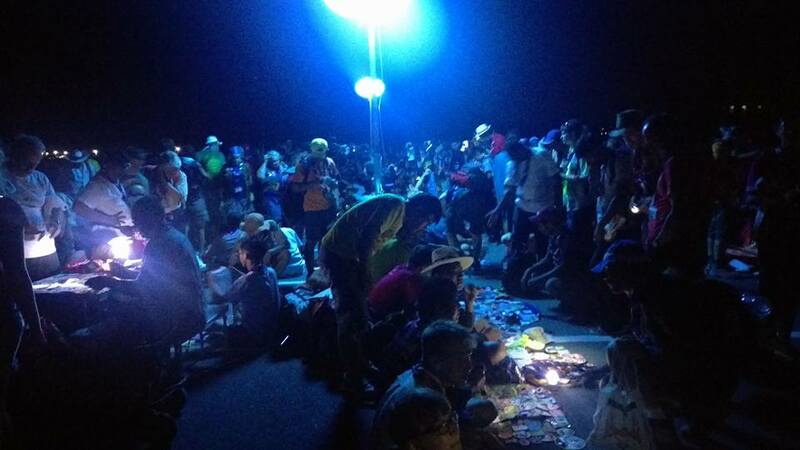 On the last day, as another scorching hot sun baked away into dusk, we gathered all 33,000 scouts strong in the arena. We sang the Jamboree song. We thought about its slogan proclaiming: “Peace!” And as we received the WOSM purple flag to be safeguarded until 2019, we looked out upon the crowd and recounted the people from all over the world who we met and laughed with and befriended. The World Scout Jamboree is an international Scouting event that’s hosted every 4 years. 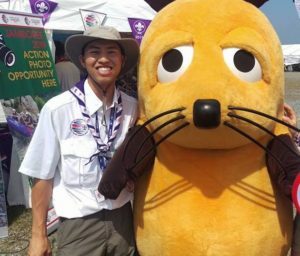 As a member of the 2019 Jamboree’s Promotional Team, Willy Xiao attended the 2015 Jamboree in Kirara-Hama, Japan both to observe the event and to spread excitement about the 2019 Jamboree, which will he held at the Summit Bechtel Reserve in West Virginia, USA. Tagged Eagle Scout, World Jamboree. Bookmark the permalink.